We are so excited to feature our first real wedding!! 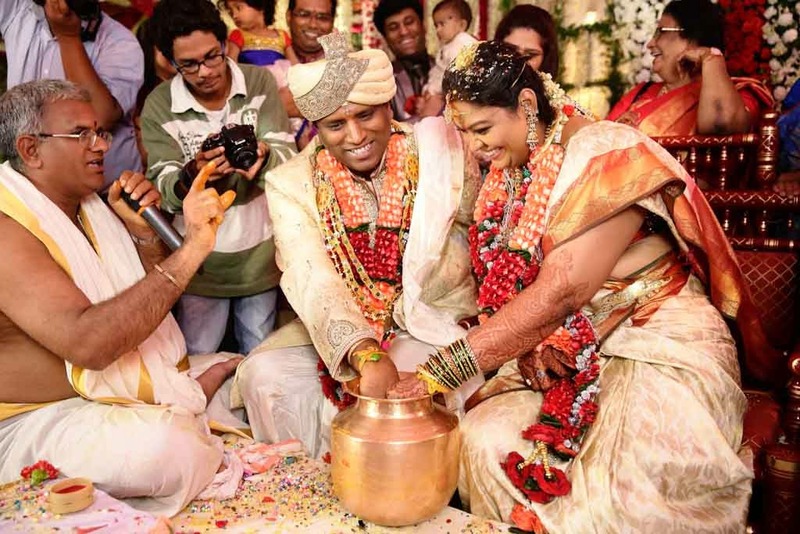 Wedding Storyz proudly presents the story of D. Sindhuri Ajit and Venkata Ratna Kumar Bade (yes a quintessential South Indian wedding, to be precise, a quintessential Telugu wedding). 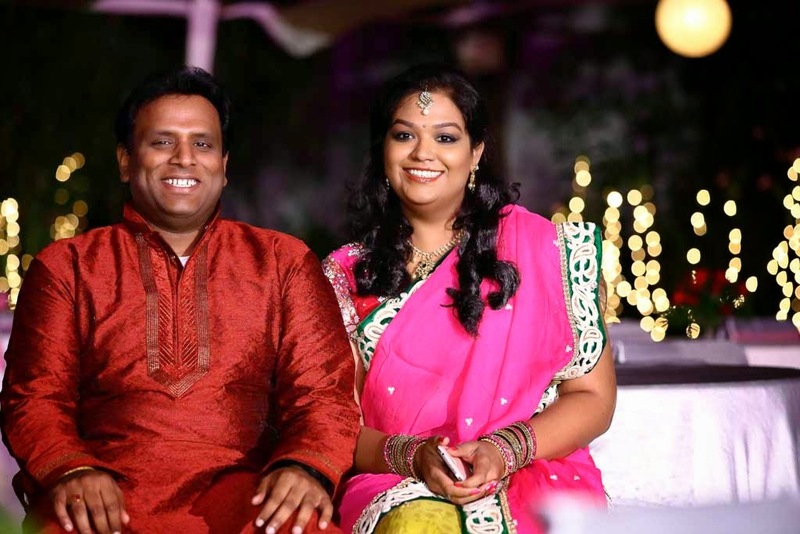 Some facts about them: Sindhuri is from Hyderabad while Kumar has been in the States since past 10 years working with telecom giant AT&T. 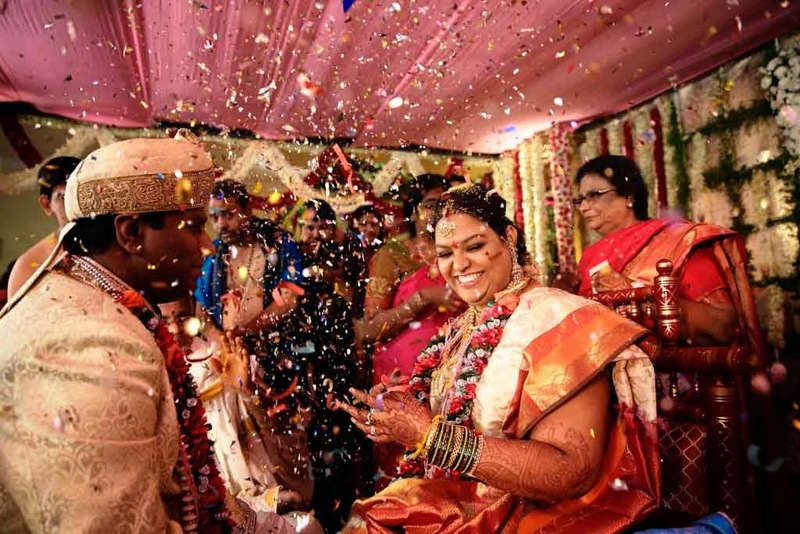 Kumar’s parents just loved Sindhuri’s profile when they came across it on the very popular matrimonial site Bharat Matrimony and contacted her mother. 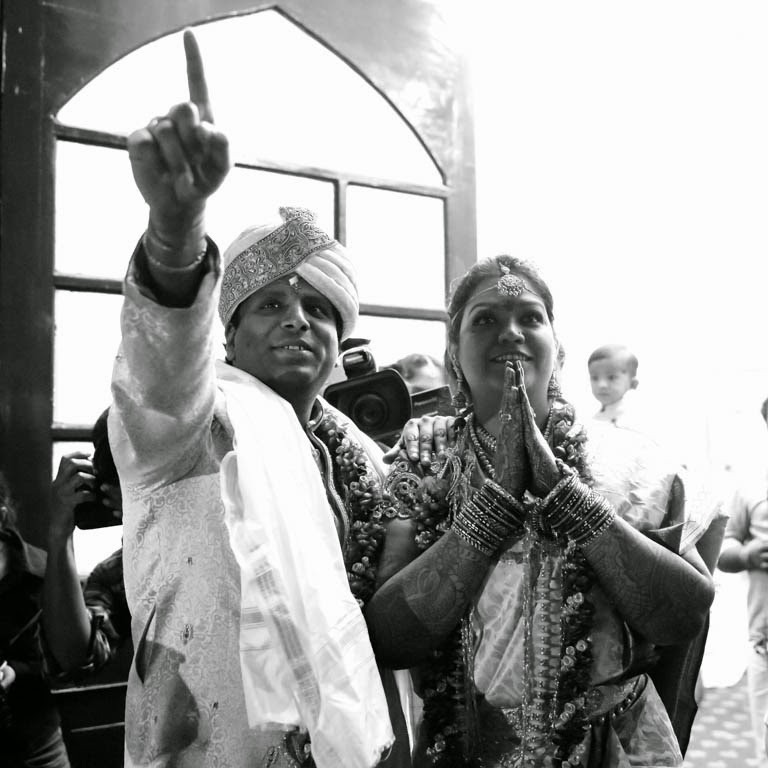 There was no stopping after that, they met, fell for each other and eventually got married. 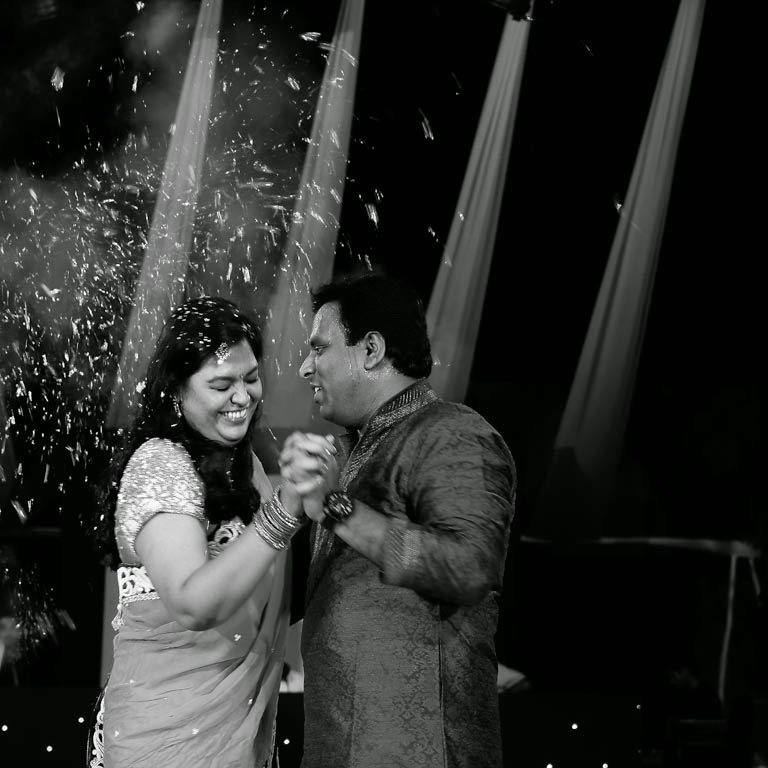 Sindhuri moved to Seattle where they currently reside. Even though theirs is an out and out arranged marriage they are totally smitten with each other. Sindhuri says, “What I like about him is his simplicity. 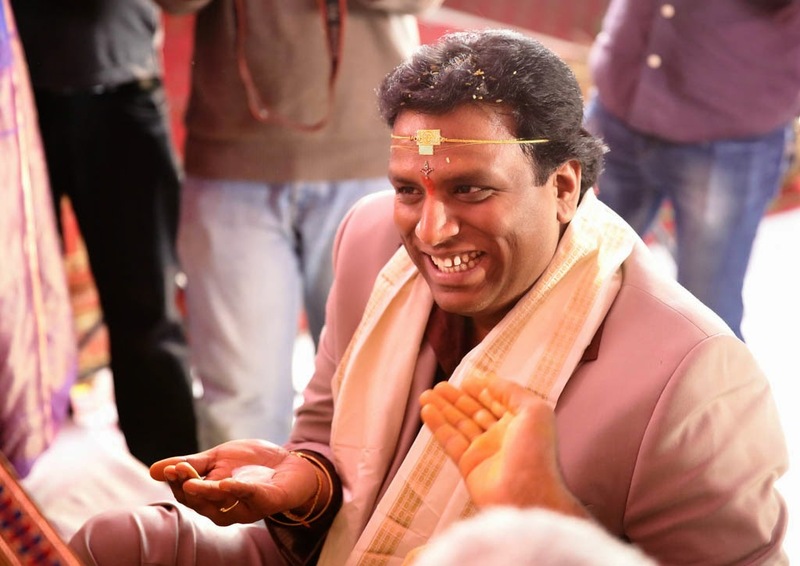 He is a very down to earth and patient person.” “Her cheerful nature and the fact that she is an outgoing person and fun to be with, is what I love about her” shares Kumar. (Opposites attract me thinks!) They love spending time with each other and going on long drives. They also enjoy traveling and have already been on some awesome trips together. 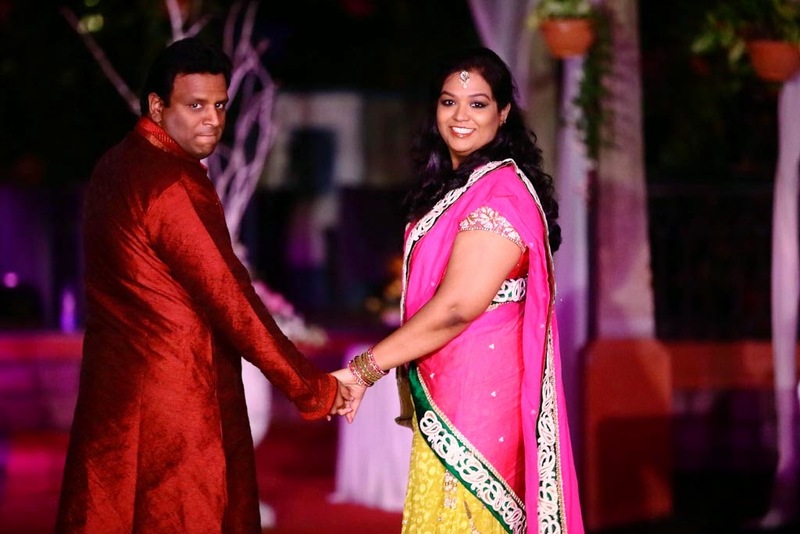 “It is an arranged marriage and we are new to each other so everything that we do together feels great! Even a walk in the garden feels special. His little surprises make me feel on top of the world” she laughs. 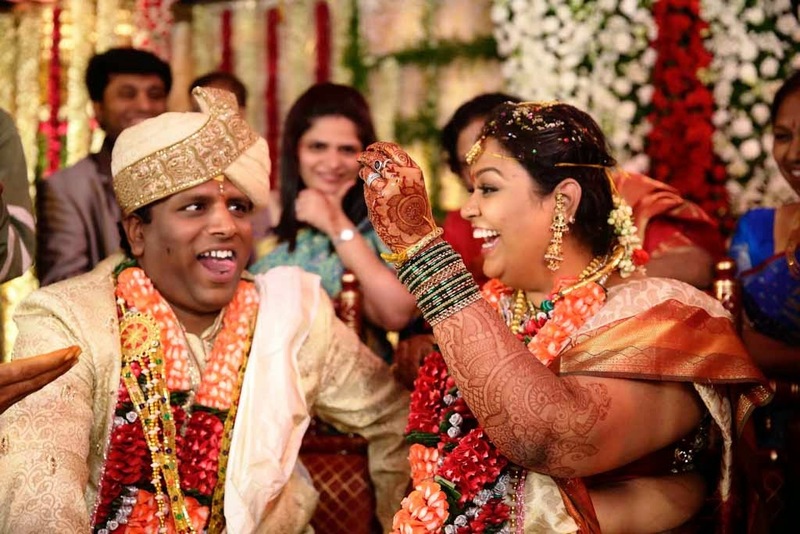 Their big fat South Indian wedding took place at Hyderabad (precious notes for that bridal diary of yours, especially if your wedding venue is Hyderabad); the Sangeet was held at Aalankrita Resorts and the wedding at Paigah Palace, Begumpet. The cuisine and delicacies prepared by Heera Panna still linger in their memories. 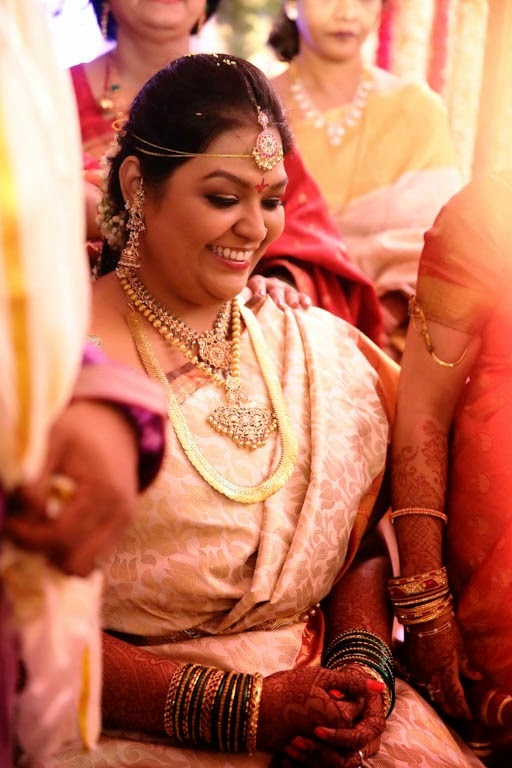 The most important to the bride, of course the designer: Ganesh Nallari popularly known as the “Design Doctor” was Sindhuri’s designer for her big day.